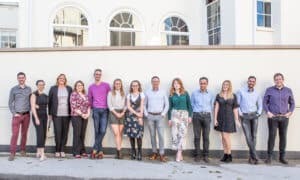 We’re eighteen months old on 1 October so we’ve taken the time to pause and reflect on what’s been a formative period for us by taking stock and paving the way for the future of the practice. 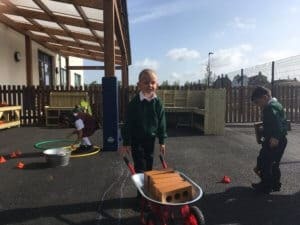 It’s been an exhilarating time for us – we’ve seen flagship education projects delivered, our team almost double in size and, most importantly of all, great feedback and lots of happy faces from our end users; pupils, teachers and parents alike. 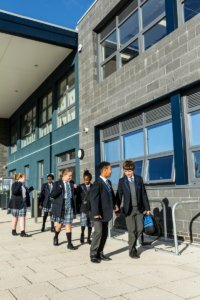 Our expansion strategy for the business is already underway with our being successful in bidding to be part of the Education & Skills Funding Agency (ESFA) modular schools/block components framework. This will provide us with exposure in the north east of England, a new area for Lungfish. Our latest recruits Yasmin Nally, Lizzy Bennett and Craig Taylor have enhanced our skilled and experienced team further by bringing with them the disciplines of interior design, graphic design, excellent feasibility and bid-writing experience and exceptional Revit abilities. Ellie Challacombe, our creative assistant, brings artistic flair and photography to the Lungfish team and we’ve been delighted to offer an internship to Nottingham Trent University Interior Architecture & Design graduate Hannah Scrimshaw before she goes off on her travels later this year. Launching as a company in our own right in April last year, whilst still being a subsidiary of Scape Group, means we now have the option of working directly with our clients rather than through framework delivery partners right from inception – truly working alongside our clients for the entirety of the design cycle; from concept to completion. 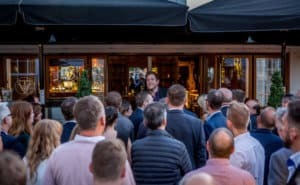 As a thank you to all our clients, partners and suppliers and not forgetting the Lungfish team itself, we made the most of the late summer by holding a BBQ in the centre of Nottingham where design, collaboration and exploring new sectors were the topics of the evening. Amongst the laughter, burgers and hotdogs, we asked our guests what makes Lungfish different. 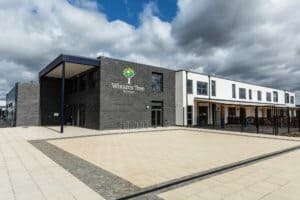 Exciting times lie ahead for Lungfish – we’re the architects for Sunesis – a joint venture between Scape Group and Willmott Dixon – specialising in pre-designed, pre-costed school builds. Our flagship design for Cotton End Forest School is set to start on site in January next year and we’re designing an all-through SEN school. The next step of our journey will see us explore new sectors via modular residential schemes, expand into new disciplines such as interior design and venture into other regions of the UK. #TeamLungfish can’t wait!